Gateway to beautiful Black Hills. 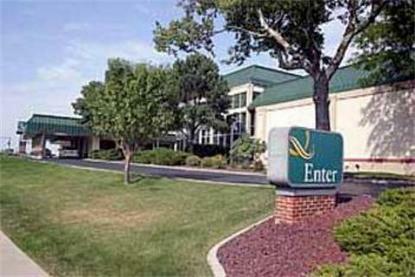 FREE hot breakfast buffet, FREE high speed Internet access, cafe and lounge, exercise room and business center on site. Located at I-90 and LaCrosse. Quality Business rooms and meeting rooms accommodating up to 150 available. Sturgis Rally 30 miles. Many attractions within minutes. FREE transfer with Airport Express from Rapid City Regional Airport. Pet accommodation: 10.00/night. Courtesy airport transportation - hotel pays cost of transportation from airport to hotel.